Words matter -- especially when trying to communicate new ideas and teach new concepts. Terms like microlearning, virtual classrooms, and mobile learning no longer resonate with our learners. In this modern learning landscape, the old training language just doesn’t work anymore. Terms like ‘eLearning’ and ‘webinar’ just don’t represent what the modern instructional designer, or Learning Experience Architect, is trying to accomplish. Their goal is to integrate content, exercises, and assessment, into a seamless curriculum, regardless of what delivery technologies or instructional pedagogies are used. To accommodate this evolution, we've been encouraging a subtle shift in language when designing learning experiences. And because rarely will an individual lesson NOT be part of a larger learning solution, the language shift applies to all modern learning, independent of the learning environment. In this post, I propose new definitions for nine terms. Let me rephrase that. I more than ‘propose.’ I advocate! I champion! I practically insist! We need to establish a new language, and we need to start using it now. Note that each of these represents the outcome of learning design -- independent of how content is delivered. Remember, this is NOT about the technology. These terms are the scaffolding of modern learning. 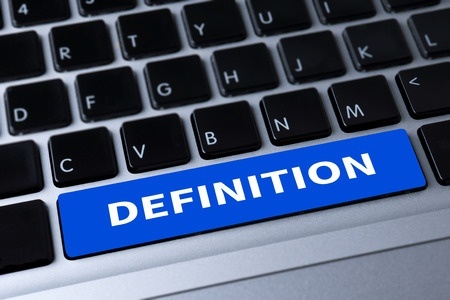 Are you using these terms in a different way? Are you sure your message is clear? Let me know your thoughts in the comments! Session: This term refers to a stand-alone presentation/webinar/interactive eLearning module, etc., that has no associated assessments or required actions. The intent of a session is to share information and to provide opportunities for basic interactions to ensure understanding. Lesson: This term is used when the audience is actively learning something new, and there is an expectation that there will be some kind of assessment (either formal test or self-assessment) to ensure that knowledge has been transferred or skills obtained. A lesson is characterized by PRACTICE – if the learner doesn’t have the opportunity to DO something with the content, it is not a lesson and therefore it is not training. A lesson can be delivered via a virtual classroom, eLearning module, or many other technologies. Using the word ‘lesson’ makes all content in a blend equal, and shifts the focus from the delivery technology to the content because learners are not being distracted by tech speak. Practice Activity: A practice activity is the opportunity to practice or use content obtained via a lesson. The activity can be collaborative or self-led. Assessment: An assessment is an evaluation of some kind, or checkpoint that ensures the learning has been transferred. It can be a traditional multiple choice type test, on-the-job observation, or can be embedded as a moderated activity, like group work. It can also be self-directed, like a reflection activity. Resource: A resource reinforces, reminds, or introduces content. It is reusable, and should be designed to be a performance support tool. Resources can be infographics, short videos, podcasts, social collaborative communities, coaching – anything that supports the learning before and after the formal event. Content Block: You might also call this a 'chunk' of learning. It is a group of integrated lessons, activities, assessments and resources that, when combined, support an individual learning objective or goal. Blended learning: At its core, blended learning is a series of content blocks that are sequenced to create modern learning experiences. Typically, this is a managed, trackable curriculum with a beginning and an end. To accomplish this, learning objectives are matched to the most appropriate delivery medium and learning environment to ensure that participants learn through Facilitator-led delivery of content with some element of participant control over "where, when, pace or path in the overall program sequence." Perpetual learning: Yes, I know this term sounds a lot like 'lifelong learning', but it's more nuanced. It takes into consideration that everything we do, in every waking moment, is, or can be, an opportunity to learn. Every time we read an article, click a link, or complete a task, we are learning something new or practicing/reinforcing a skill. Sometimes it is conscious, sometimes unconscious. But it is STILL LEARNING. All the time. Perpetually. To stay relevant, the Learning and Development field needs to think beyond the 'formal learning' box, and consider this crucial characteristic of our learners. As Learning Experience Architects, we need to find ways to encourage, support, and anticipate perpetual learning in the content, interaction, and assessment areas we manage. Later in this blog series, we'll explore the what, why, and how of perpetual learning in more detail. For now, keep the idea in mind and try to become more aware of how and what you are learning throughout the day. Learning campaign: More and more frequently, the term 'blended learning' isn't descriptive enough. Especially when we consider that learning takes place perpetually – even when the training department isn't looking! To become more of a partner with our business, we need make sure learning opportunities and content are where and when our learners need them. A learning campaign extends the learning beyond formal events by considering learning that takes place outside of a formal blended curriculum. Design your formal blended solution first, and then think about and design in the types of informal activities learners will want to participate in three, six, or even twelve months after the formal event is over. How will you make sure the content is 'where' and 'when' your learners will need it? Consider their moments of learning need. These moments should give you context of the types of resources or activities the learner will want to access. How can social learning, like Communities of Practice, support the learner before, during, and after the campaign? Modern workplace learning is more than technology. It's about changing the way we think about how modern learners actually learn. Adopting a language that supports this new way of thinking is a great way to start. Book: Modern Workplace Learning: A Resource Book for L&D. If you can learn about just one thing this year, get the basics about Modern Workplace Learning from Jane Hart. Really! Do it now. "Jane Hart’s book is packed with practical advice and guidance to help L&D transform their workplace learning practices both through the provision of modern training content and the promotion and support of continuous, everyday learning in their organisation." Infographic: Engaging Modern Learners: When to Push and When to Pull. Based on my BYTE session of the same name, this infographic connects ideas from people like Jane Hart and Bob Mosher. There are also links to additional resources on the same topic.